Jane (Anna Faris) is an actress/slacker whose day goes seriously out-of-control when she tries to balance competing agendas to get all the items on her “to do” list done. Complications take the form of a nerd (John Krasinski) obsessed with her, an audition that goes awry, a depleted bank account, and a series of misadventures that include an inadvertent heist, an escape from the cops, and a tour of Los Angeles that shows the city to be a formidable opponent! 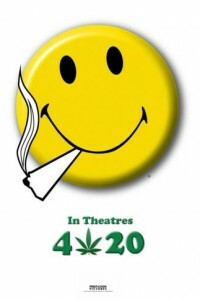 “Smiley Face,” originally intended for a 4/20/07 theatrical release – has finally been given a theatrical release date of November 16, 2007. Jason Bateman (Identity Thief) makes his feature directorial debut with the subversive comedy Bad Words. Mr. Featuring an exceptional cast of D-list actors including Jean Claude Van Damme, Adam Brody (The O. C.